How to strengthen your aura? How to protect your aura? How to strengthen your aura? 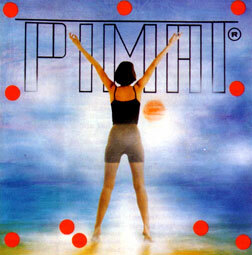 Pimat is a great invention dating back to the times of ancient Egypt and is based on the energy of the pyramids. Pimat helps enhance your energy and health and thus improves the quality of your life while you sleep on it. Wake up full of vitality and life force.PIMAT is simple to use – just place it on your mattress under the sheets and sleep on it. How does the Pimat work? The Pimat was invented to produce, in two-dimensional form, a very coherent and organised healing energy of the pyramids. The miraculous powers of pyramids have been known, studied and research for centuries (in short, a pyramid is a fractal electric field/life force generator). The name Pimat stands for ‘Pyramid MAT’. Medical consultants, microbiologists, geneticists, immunologists and radiaestheticians have all certified Pimat’s beneficial effects. Research carried out by the Neurological Department of the St. Petersburg Military Medical Academy showed that PIMAT had a therapeutic effect on lower back pain and sleep disorders. It has been found to be completely safe to use – and has no side effects. The Russian Ministry of Health has authorized the use of Pimat in medical practice. Zena Maddison talks about her experience with Pimat and how it helped her with ME as well as others with other health problems such as back pain, shingles, asthma, arthritis and rheumatism, children behaviour problems, conception problems, PMT. How to use the Pimat? It is simple to use – just place it on your mattress under your sheets (lower back area), and then sleep on top of the Pimat to experience amazing results. PIMAT is simple to use – just place it on your mattress under the sheets and sleep on it. In February 1987, I got gastric ‘flu, and from that point on my life started to deteriorate. I was teacher/director of a centre for young unemployed in South London and doing a lot of voluntary work in my spare time. I kept getting ill and nothing seemed to help. In the second year of my illness, a kinesiologist diagnosed Myalgic Encephalomyelitis (M.E.). ME causes many symptoms: extreme fatigue and exhaustion, muscle weakness, recurring attacks of ‘flu-like symptoms and neurological problems like inability to concentrate and forgetfulness. I started to improve, but then my centre was closed and I became a teacher/ counsellor in a large comprehensive school. The greater exposure to viruses and the added stress of the change of jobs caused a sharp deterioration in my health; after months of struggling back to work between attacks, I became too ill to continue, had a year’s sick leave and then was forced to take early retirement. My income took a nose dive, which made it difficult to pay for the special diet and supplements which I needed and the alternative doctor’s fees. I could do little for myself either: even washing myself had to be done piecemeal as I was so very weak and exhausted. I felt that I would never have a normal life again. Then, in July 1993, I heard of PIMAT., Following the instructions, I put it in my bed, under my sheet and slept on it. It worked on my aura, rebalancing the colours and restoring my energy while I slept. It worked like magic, using very ancient knowledge – of the energy of shape-or neoenergy. From the first day, I felt a little better. On the 13th day, I woke up early buzzing with energy having slept more profoundly than throughout my illness. My alternative doctor a couple of months later confirmed that my immune system was now at 80%, and she was so impressed that she tried Pimat herself. She then ordered 22 for her patients. I no longer get excruciating headaches if I try to concentrate, and only have an occasional memory lapse. If I am tired, I recover after a rest, instead of experiencing a relapse. A cold or ‘flu virus is only a minor inconvenience instead of causing misery for weeks or months. Having been released from what seemed like a life sentence, I have also found a new career in promoting Pimat, as I would like other people to benefit from it too. It is called an energy regenerator because that is what it does: the release of energy stimulates a natural, self-healing process, which works on both mind and body. My daughter sleeps on a Pimat in the bus when she goes on tour with the band she manages; she feels rested after only an hour or two. And my daughter-in-law found it eased the exhaustion of early pregnancy. Through Pimat I have now regained my natural enthusiasm for life and can take pleasure in my family again: my older son’s wedding, my younger son on a Christmas visit with his family and the birth of my first granddaughter, already have two grandsons). Life’s very good once more. “After 7 years of M.E., I’ve recovered my energy, my joie-de-vivre, my whole, thanks to Pimat.” Z.M., London. “I use Pimat to boost my energy and am amazed that it also relieves my arthritic pain.” Dr D.H., London. “My 87-year-old mother was in a very poor state, spending 20 hours a day in bed, she could hardly walk at all and did not want to talk. Since I got her a Pimat (3 months ago) she has improved remarkably. She walks confidently with the aid of a zimmer frame, is up nearly all day and is willing to converse., and takes a lively interest in everything – it’s like 10 years ago!” R.S., Sydenham. “Thank you for Pimat. At 78, didn’t expect my asthma and the quality of my life to improve to this extent. After years of disturbed nights, I now sleep like a log and wake refreshed and full of energy. Also, I am free of chest infections, which I used to get constantly all winter. My sister spent every night in and out of bed with a cramp in her legs and feet. Now she too has peaceful, pain-free nights.” Y.S., Littlehampton. “My daughter had a serious accident 7 years ago, after which she suffered from many problems, including multiple fractures and the loss of her period cycle. Since receiving her Pimat, she has had a regular 28-day cycle, which means she may be able to conceive. It seems like a miracle to us.” Mrs. S.L., Whitley Bay. ” Since using Pimat, the quality of my sleep is really making a significant difference to my working day”. J.C., London. “Depression and chorea severe insomnia, prickling sensation all over and problems with thinking and coordination. This 40-year-old woman patient slept normally the very first night after using Pimat. Her other symptoms disappeared in a few days. A woman aged 80 suffering from pains and unable to leave the bed. Her daughter placed a Pimat in her bed without telling her. Next morning she got up unaided and was able to walk. A 35-year-old woman with radiating pains. After one night with Pimat, the pains subsided, to disappear completely in a few days. Hyperexcitability, sleep disorder, bedwetting. A 7-year old boy now calmer sleeps soundly, bedwetting infrequent, since using Pimat.